The Michigan Automobile Dealers Association is a statewide non-profit trade association that represents the unique interests of the more than 600 franchised new-vehicle dealerships in the state. Michigan’s franchised dealers employ more than 36 thousand people. With indirect jobs added in, that equates to 1.9 billion in payroll and nearly $670 million in state/federal taxes paid. As a matter of fact, Michigan’s new-vehicle dealers account for approximately 30% of the state’s retail sales ! Membership comes with benefits! MADA endorsed providers offer large-group discounts on many of the products and services you already use. We invite you to call us at (800) 292-1923 and learn how you can start reducing your operating costs. 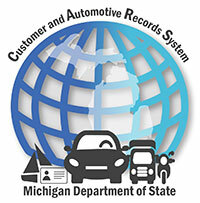 Need information about State of Michigan licensing requirements? How much do Michigan dealerships support our economy?